Join us on Saturday for a LOTRO Marathon to support Extra Life! Thread: Join us on Saturday for a LOTRO Marathon to support Extra Life! Join us on Twitch.tv/LOTROstream from 10:00am-12:00am Eastern (-4 GMT) (14 hours) as we have fun raising money for Extra Life! 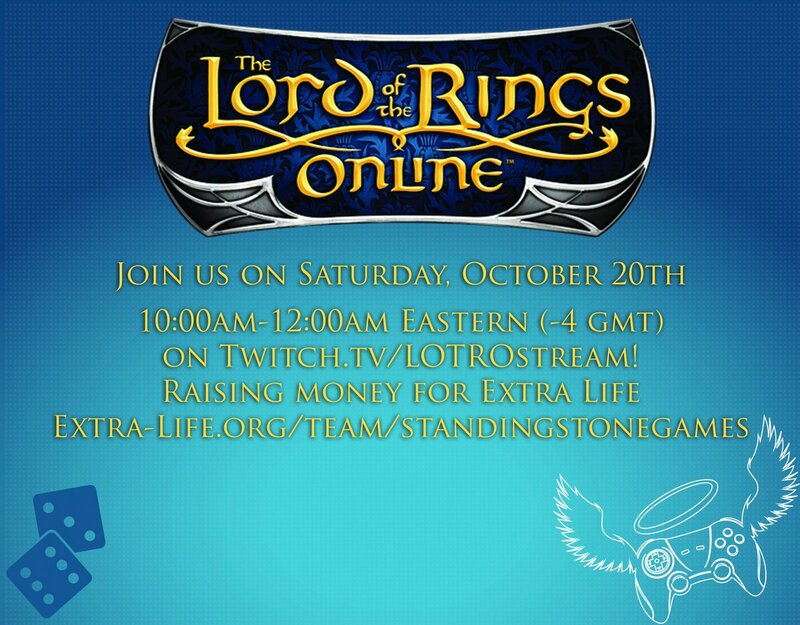 The LOTROstream team will be taking shifts, playing LOTRO, doing giveaways, and having fun to raise money for this good cause. Also, don't forget you can get some incentives for donating - click here to read about that.